Here are the 3 forms of the MacNeil tartan. 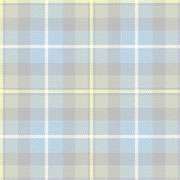 Tartans come in three varieties: The Modern form is produced using state-of-the-art dyes, and has vibrant colours. My kilt has the modern colours. The Ancient form is how a tartan would have looked when it was newly made, simulating the use of the original vegetable dyes for colour. The Weathered form is how the Ancient tartan would look by now, after ageing for several hundred years and becoming faded.